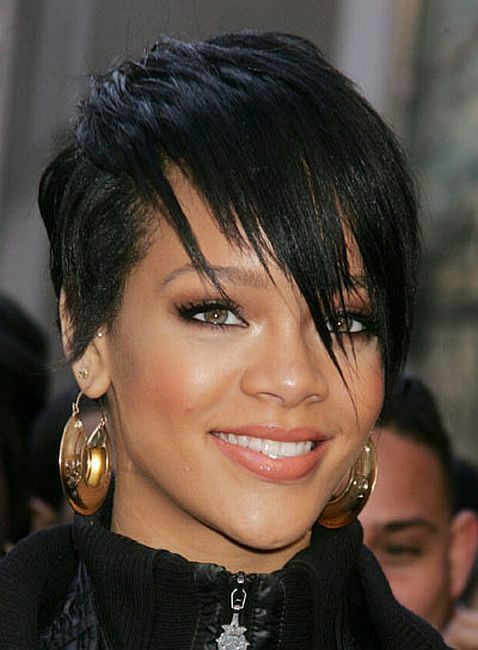 In addition to her sit down with Diane Sawyer this week, Rihanna also opens up in the new Glamour magazine about the leak of the infamous police evidence photo showing her face battered and bruised by then-boyfriend Chris Brown. "It was humiliating; that is not a photo you would show to anybody," she told the publication. "I felt completely taken advantage of. I felt like people were making it into a fun topic on the internet, and it’s my life. I was disappointed, especially when I found out the photo was (supposedly leaked by) two women." Two female LAPD officers were suspended in September after the photo was published on gossip site TMZ.com shortly after the assault. Rihanna admits she was not ready for the immediate onslaught of media attention that would follow. "It has taught me so much. I felt like I went to sleep as Rihanna and woke up as Britney Spears. That was the level of media chaos that happened the next day," she said. "It was like, What, there are helicopters circling my house? There are 100 people in my cul-de-sac? What do you mean, I can’t go back home?" Rihanna hopes that her ordeal with teen domestic violence can help shed light on the issue. "Domestic violence is a big secret. No kid goes around and lets people know their parents fight. Teenage girls can’t tell their parents that their boyfriend beat them up. You don’t dare let your neighbor know that you fight," she tells Glamour. "It’s one of the things we (women) will hide, because it’s embarrassing. My story was broadcast all over the world for people to see, and they have followed every step of my recovery. "The positive thing that has come out of my situation is that people can learn from that. I want to give as much insight as I can to young women, because I feel like I represent a voice that really isn’t heard. Now I can help speak for those women." \n\"The positive thing that has come out of my situation is that people can learn from that. I want to give as much insight as I can to young women, because I feel like I represent a voice that really isn’t heard. Now I can help speak for those women.\"